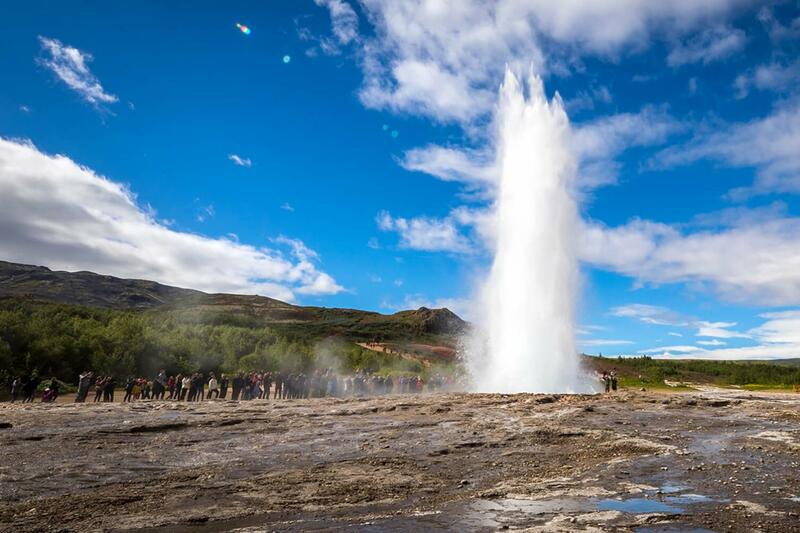 The Golden Circle Private Tour takes you on a personalised journey to some of Iceland’s most important sites, through the heart of Iceland’s Southern Region. 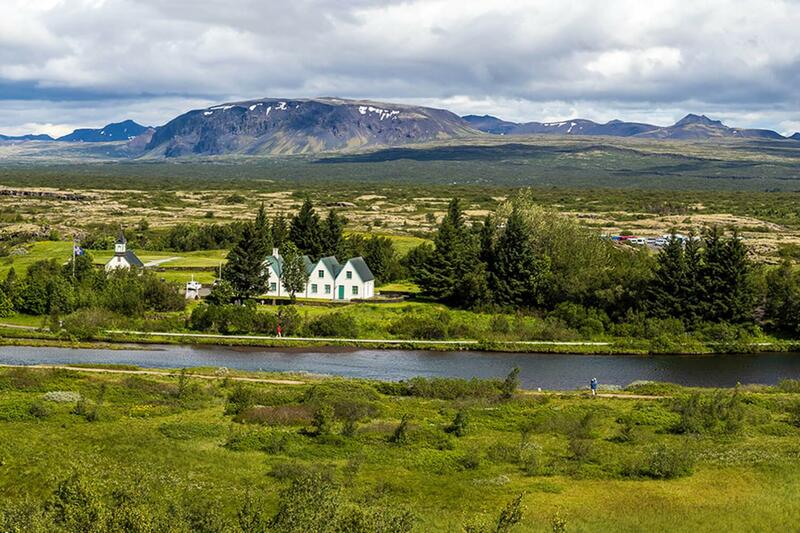 Thingvellir National Park is a landmark of great geological, historical and cultural significance. 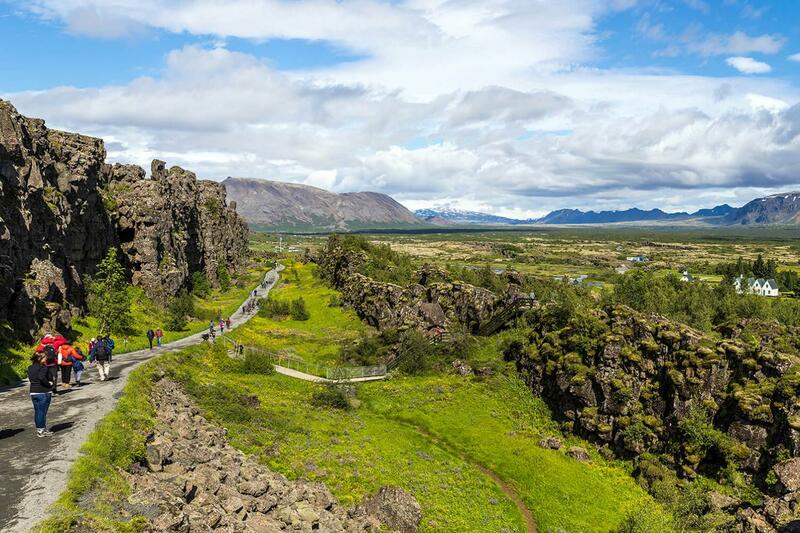 The UNESCO designated world heritage site is where Iceland’s parliament, Althingi, was founded in 930 AD and is also where the Eurasian and North American tectonic plates slowly drift apart. You will walk the grounds where the nation’s leaders would meet to decide on the laws of the land and where criminals were brought to justice. 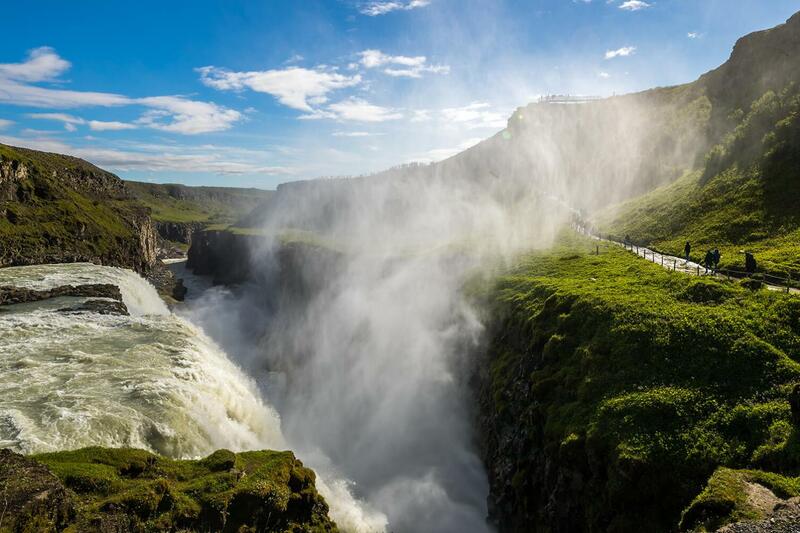 Continuing along an area of breathtaking mountains and valleys, you arrive at the all-powerful Gullfoss waterfall on the Hvíta River. Once there, you can get up close and personal with the two-tiered waterfall by walking along the many paths around the cascading water. Home of the namesake of all geysers “The Great Geysir” hot spring, this area is dotted with bubbling puddles, whistling steam vents, and colourful algae deposits. 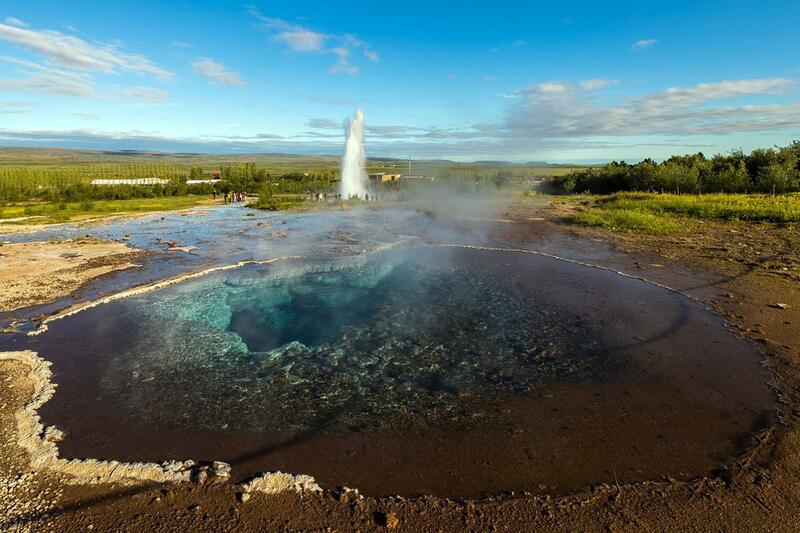 Although Great Geysir is currently dormant, nearby Strokkur geyser puts on quite the show every few minutes blasting boiling water high up into the air. After a quick visit to the quaint Faxi waterfall and the fish ladder for salmon to “climb” upstream alongside it, we reach Skálholt cathedral and the archaeological museum. 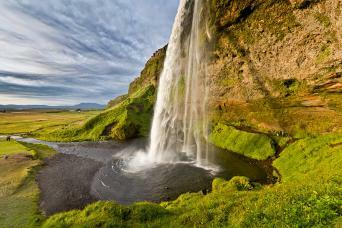 For eight centuries, the historical site was once the epicentre of culture, politics and education in Iceland. 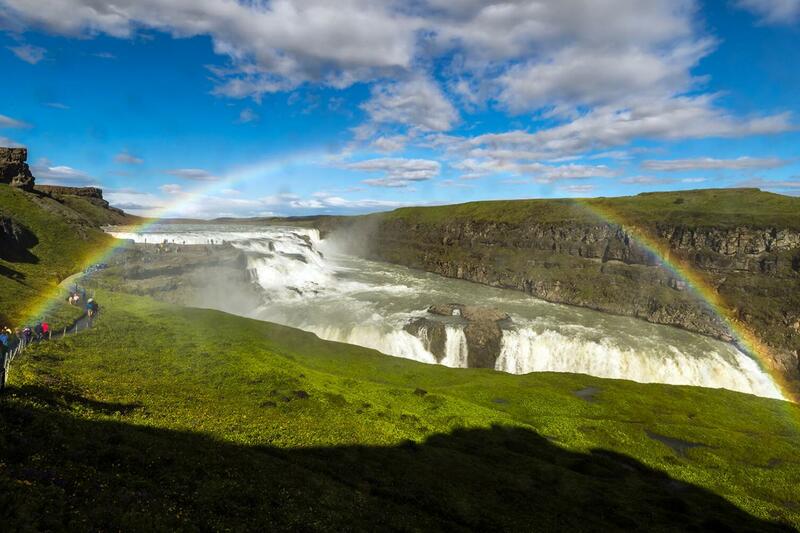 The significant landmarks, rich histories and fascinating sagas all come to life with the facts and stories from your knowledgeable Iceland Tour Expert, allowing you to experience Iceland to the fullest. Please present your electronic travel voucher/ticket at the time of tour departure.